Advertise your coffee products or services on Coffee Detective. If you sell gourmet coffee, or home coffee-making equipment, we have the audience you're looking for. And we offer the opportunity to reach out to our audience through display ads and sponsored content. 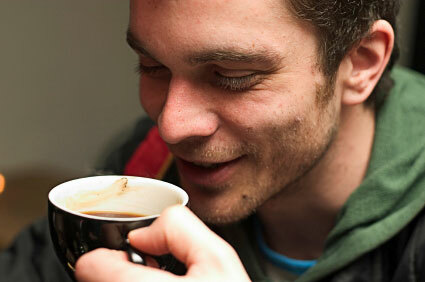 At Coffee Detective over 50% of our readers describe themselves either as “coffee snobs” or “serious about my coffee”. Fewer than 10% are prepared to drink bulk brand coffees from the supermarket. In other words, our readers appreciate good coffee and will pay extra for high-end beans and quality coffee makers, grinders and espresso machines. While we focus primarily on delivering helpful information to our readers, and make a point of not flooding each page with too much advertising, we have opened up spots in the right hand column for a small number of ads, and for now offer just one ad size – 250 x 250. This ad space is priced at US$350 a month. Currently Coffee Detective is delivering over 100,000 pageviews per month. In addition, we are now exploring the possibility of delivering a limited amount of sponsored content. If you’re interested in reaching your prospects through an advertisement on Coffee Detective - or through sponsored content - please contact me through the form below. I'll then get back to you to get things rolling.